Google Street View Steps Through the Front Door - Wood Street, Inc. So you might have noticed a few changes to Google Maps recently. Specifically, have you seen the “See Inside” button popping up on local listings? Business listings here in Frederick, MD, such as Adventure Park USA, Hood College and the National Civil War Medicine Museum, now come with a custom tour of their locations. All of them have had visits from the Google Street View Team here. Local restaurants, boutiques, car dealers and others look different when you “Google” them. In fact, over 250,000 small business countrywide now have Google Street View tours. What started out as back in 2008 as a project to see in the world’s most famous museums has evolved into a simple one time process any small business owner can participate in. You can now hire local trusted Google Photographers such as myself to work with you to make a customized Google Tour to show the world inside your business with only a few clicks. A Google Virtual tour can help you stand out in a crowd of static photographs. Recently I was invited by another Google Partner, DOM, along with the team at Wood Street, to their talk about local SEO, Adwords, and Design. If you were unable to make the event we shot a Virtual tour of the event below. Why does it matter? 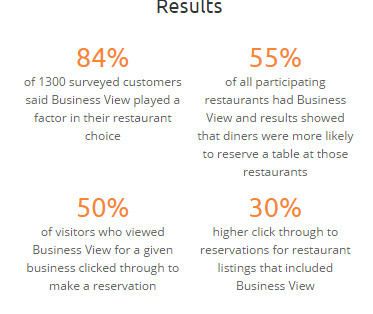 A recent Google study on virtual tours shows that a restaurant with a Google Virtual Tour is 2X more likely to get a reservation. The 18-35 yr old demographic is 130% more likely. This works because we all want more information. That’s why we go to Google in the first place. 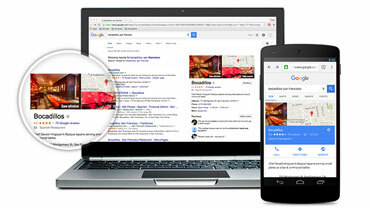 Your Google business listing is your company’s most visible asset. Improve your presence on Google Search with Street View content. Google Maps gives you the opportunity to “plant your flag.” When prospective customers seek you out on Google Maps, make sure their first encounters are great ones. Too many businesses leave their business listing unfinished. Completing your business listing is important for both search and conversion results. 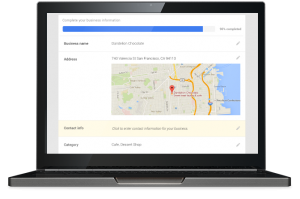 Google offers small business services that can be used to help a business of any size. 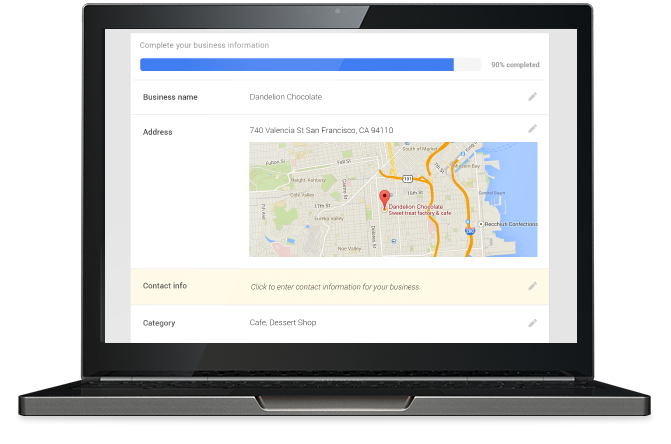 For more information on enhanced business listings and other services, visit https://www.google.com/business. 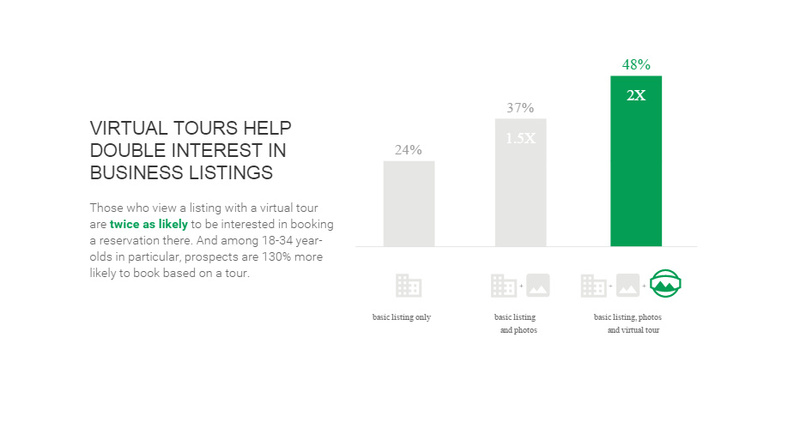 What are your thoughts on Virtual Tours? Seen one? What did you think? Let us know in the comments below. Joe Jackson is a Google Maps Business View Trusted Photographer and owner of Business Photos America. Joe's clients include Ryan Homes, Morgan State University, Notre Dame of Maryland University, Montgomery College, NASCAR, and Habitat for Humanity.